A funeral mass has been scheduled for Tuesday, Sept. 20, for popular Samford University pharmacy professor Gary Bumgarner, who died Sept. 13 at his home in Birmingham. The 10 a.m. mass will be at Our Lady of Sorrows Catholic Church, 1728 Oxmoor Road, Homewood, Alabama, with a reception for friends and family immediately following. Burial will be held privately in Bloomingburg, Ohio. The family will receive friends from 4 to 8 p.m. Monday, Sept. 19, at the church. 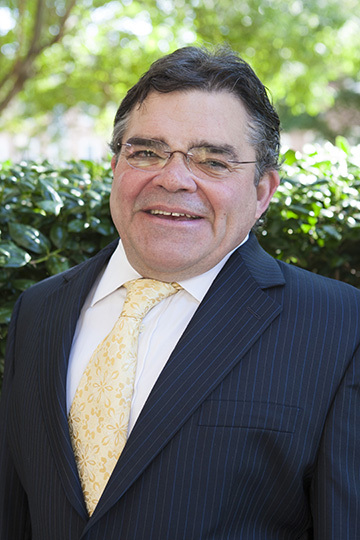 Bumgarner joined the Samford faculty in 2001, and served as associate professor of pharmaceutical, social and administrative sciences in Samford’s McWhorter School of Pharmacy. During his 15 years at Samford, Bumgarner touched the lives of nearly two thousand pharmacy students. A mentor, friend and advocate for his students, he could often be found on campus on evenings and weekends helping students who were struggling in his course, never giving up on them and always encouraging them to learn. Bumgarner poured his heart into his work and his relationships with others, challenging his students, colleagues, family and friends to grow intellectually and spiritually. He was committed to helping students make, as he called it, the “head-to-heart connection” which relates to a student’s desire to enter the pharmacy profession in order to care for others. In 2003, Bumgarner initiated faith-based diabetes education and support groups for the medically underserved in Perry County, Alabama, by partnering with Sewing Seeds of Hope. What started off as Saturday trips with Samford pharmacy students to meet with patients at the health clinic eventually resulted in the school being recognized for this work by the American Association of Colleges of Pharmacy in 2008. His legacy will live on as Samford continues with this work today. Bumgarner earned his pharmacy degree in 1983 from the Ohio State University College of Pharmacy, and he went on to practice pharmacy at Tybee Island near Savannah, Georgia. He later moved to Atlanta and worked at the Georgia Poison Control Center while completing his graduate training at Mercer University and Emory University in the areas of pharmaceutics and immunology. Bumgarner participated in cancer research at Emory, investigating immunotherapy for cancer treatment. He wrote numerous publications and presented at professional conferences on the findings of his research. In lieu of flowers, the family asks that gifts be made to the Dr. Gary Bumgarner Legacy Scholarship in McWhorter School of Pharmacy.